This is the perfect image for my golfing husband! Thought I would surprise him with this fun golfing card! 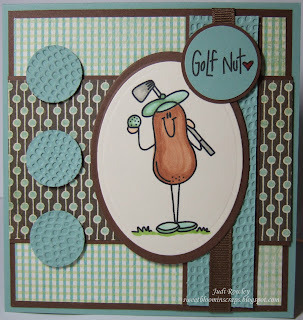 I used the Cuttlebug Mesh Embossing Folder to create the golf balls. I thought it turned out to be a fairly good replica. What do you think? I also thought that MME paper looks like a million golf balls perched on their golf tees! Well, that's a little stretch of the imagination! He's a happy golfer anyway! This is Arlana's sweet sketch for this week's challenge. Stop by SSW to see what our DT members have created for you! Love it! The colors are lovely and your little golf balls are perfect!! I sure your husband will love it! Absolutely adorable. I will try and participate in this. Oh Judi this is such a fantastic card for a male!! Love those golf ball embellies! Beautiful color combo and papers! Judi, I love, love, love your card!!!! Love those golf balls!!!! And that image...way too adorable!!! Great colors too! Your hubby is gonna love it!!! 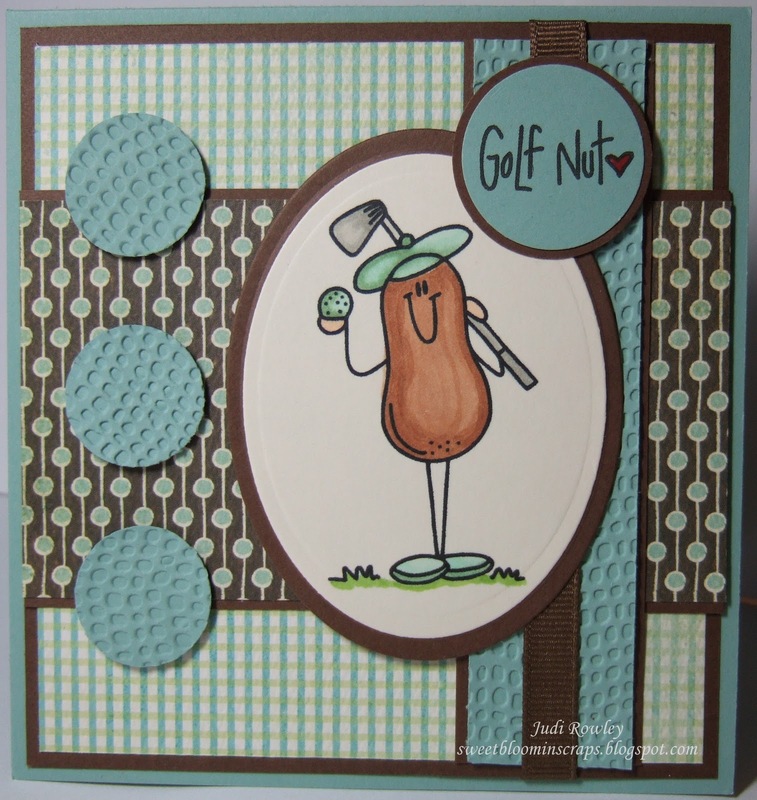 Love your little Peanut guy,and the golf ball embossing is perfect. I think I have this set..should get it out for some men's cards I need to make. Nice to visit. Becca has some amazing things again. I think they are perfect golf balls and your hubby will love it! Great colors too! I love this set of images. This is the perfect card for DH. I love those mesh golf balls too! Super cute card Judi! Fantastic card Judi! 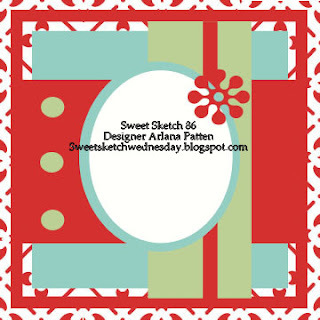 You know this card matches your blog background to a tee!!! (sorry about the pun!) This is just a perfect golfer card with those realistic looking golf balls as embellishments - total genious touch there. I'm going to have to case this for my hubby for Father's Day or for my son. They're both golf nuts for sure. Thanks for the inspiration! Judi - this card made me smile. How absolutely perfect!!! Love it !! Love your card your DH is going to love it. Great colour combo together and that paper is awesome it works perfectly and yes it does look like golf balls on their Tees. I must get that embossing folder great for masculine cards. What an awesome card, I'm sure your husband will love it! 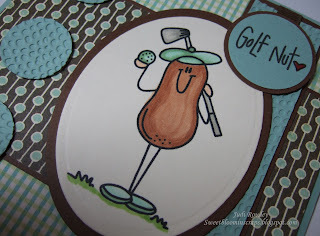 The embossing is perfect for the golf theme and all of the details are fantastic!